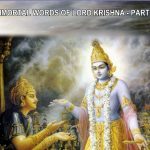 Immortal words of Lord Krishna is a series of stunning slides produced from Lord Krishna’s timeless instructions to His dear devotee Arjuna in Bhagavad Gita. The images used in the slideshow perfectly correspond to the message delivered. 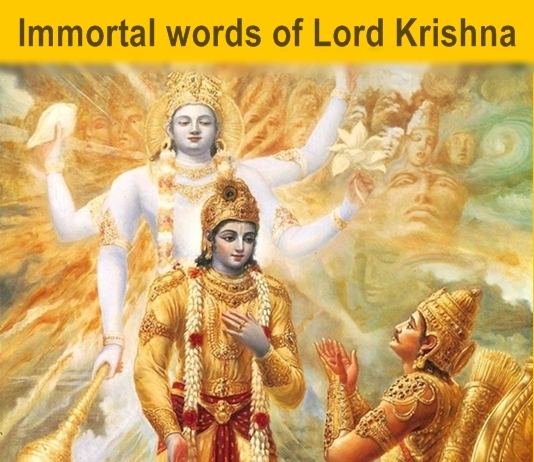 The focus of the Immortal words of Lord Krishna series is to highlight the fact that Lord Krishna is the Supreme Personality of Godhead, meaning He is the Supreme God, Svayam Bhagavan, and that He is a transcendental person. This is the conclusion of all Vedic scriptures. 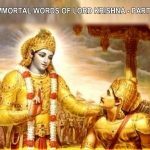 Immortal words of Lord Krishna brings forth a few of Lord Krishna’s authoritative as well as magnanimous statements that He made during the conversation in order to convince Arjuna and the world that He is the same supreme Lord, or God, that all are talking about, speculating on, and endeavoring to get attention from. He is the same original transcendental person who is the object of speculations for philosophers, object of meditation for dhyana yogis, and object of worship, surrender and love for His devotees. 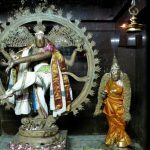 Sanskrit words aham, mam, and mattah which respectively means “Me”, “My”, “Mine”, and “from Me”, quoted in the slideshow cannot be construed to mean anything else but the fact that Lord Krishna is speaking about Himself as the Supreme Person. Immortal words of Lord Krishna is a humble attempt to increase the awareness of Lord Krishna’s position as the all-merciful and all-powerful Supreme Person, who descended on Earth in His eternally youthful form, just a few thousand years ago. Due to our limited intelligence, material senses and restricted sense perception, we cannot comprehend the spiritual nature of Lord Krishna’s divine form. For this reason most philosophers conclude that God must be impersonal or something formless that cannot be explained or defined. 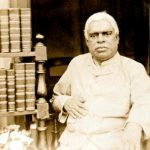 Yes, it is not possible for conditioned souls to define and understand God as He is and that is why He personally came to our world and spoke about Himself. Lord Krishna also displayed His mightiness and supremacy by performing some inconceivably extraordinary activities possible only by God. He did it in order to let us know He is the Supreme God and that we should take shelter of Him for our own benefit. Or else He has no business showing off His prowess as He does not need our certificate. Srila Prabhupada points out that God is always God. No one is equal to or superior to Him nor can anyone ever become God, because God is only one and will always remain one. All living entities are His eternal fragmental parts and they will eternally remain so. 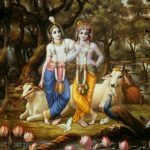 I sincerely hope you find the Immortal words of Lord Krishna series of slides spiritually uplifting and will be able to remove any doubt in Lord Krishna’s transcendental position as the Supreme Personality of Godhead. By consciously accepting Lord Krishna’s factual position one can resolutely surrender to Him which, in turn, will award the surrendered soul perfection of human life and qualify him or her to go back home back to Godhead after this life. This assurance comes from Lord Himself as shown in the Immortal words of Lord Krishna. Since there are many slides and more coming, we have divided them into more than one parts. Click here to see part 1. Click here to see part 2. Click here to see part 3. (Note: Part 3 coming soon). If asked for password, enter “Gauranga” as your password.